Moving beyond the top notes of fresh cut flowers, contemporary ideas in spring living room decoration reach out to the woody base notes and intricate configurations of tree branches. These offer not just a more permanent medium for enhancing and accessorizing your space, but are also utterly modernist in flavor, effect and character. Drawn bare, they captivate with their delicate textures, organic unpredictability and the glorious arrangements that result. 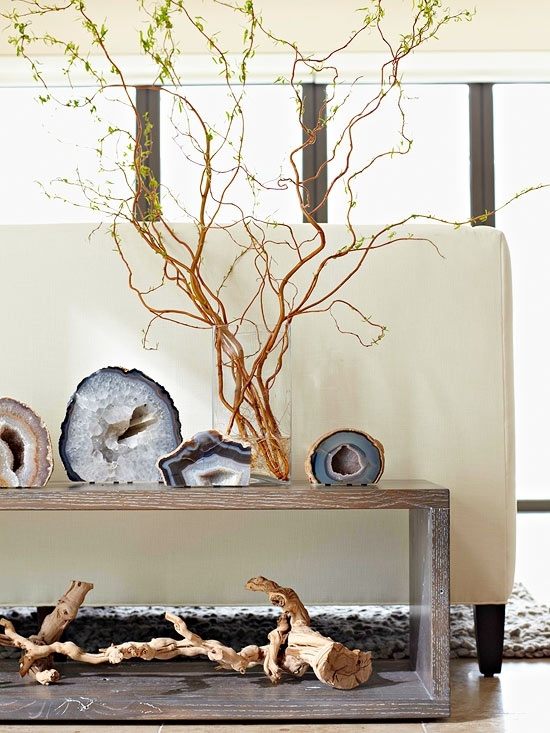 Yet with minimum effort, these can be dressed up to align and enhance any décor, style or theme. 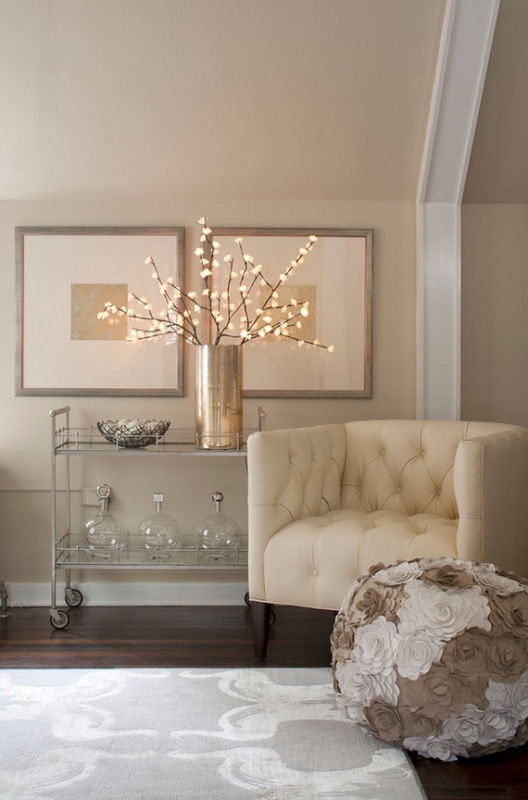 Add a dash or color or bejewel them with fairy lights to create dramatic moments in the center of your living room. You could even extend the natural flavor of your space by bringing in a few fresh cut branches, embellishing the space with a hint of outdoor charm. 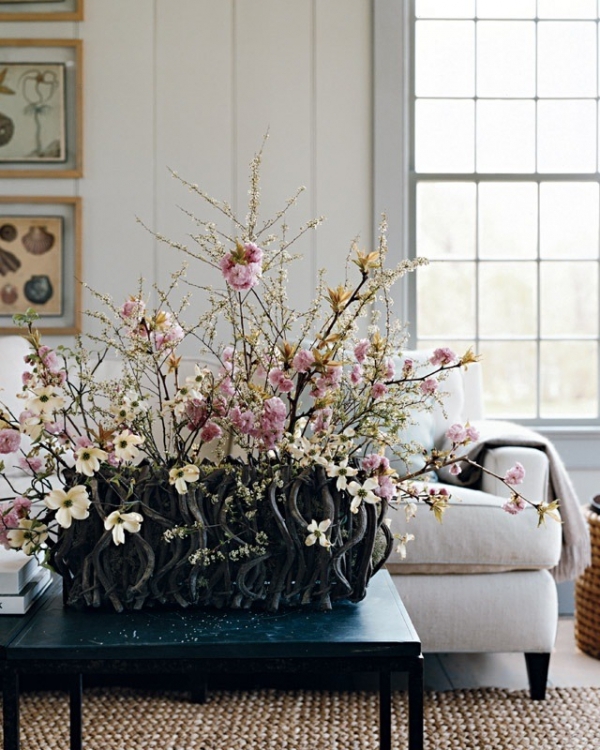 When dappling with spring living room decorating ideas, less is usually more. Do not go overboard trying to create the perfect composition; the beauty of decorating with branches lies in their wild and untamed character. Sure a little pruning always helps, but allow the natural strokes and textures to come through. 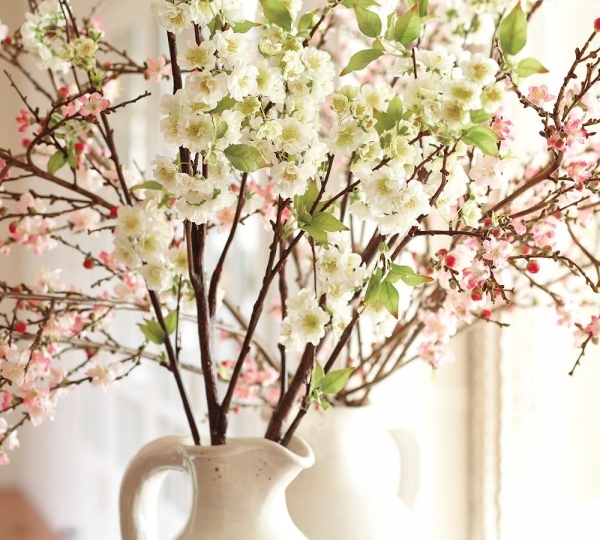 And make sure to give your arrangement plenty of room, these spring living room decorations demand a clean backdrop for their magic to truly shine through.